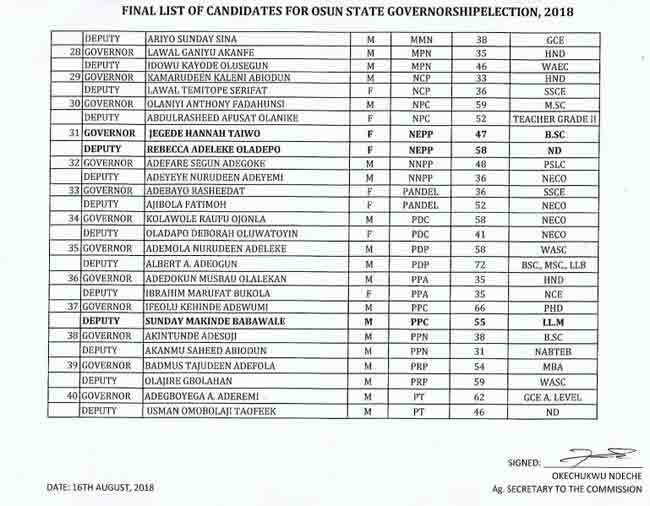 Forty-eight candidates from various political parties will contest in the forthcoming governorship election in Osun State. 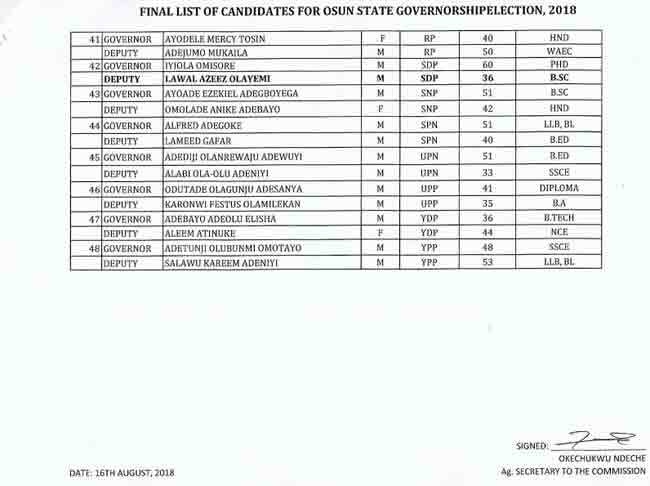 This is according to the final list of candidates released by the Independent National Electoral Commission (INEC). 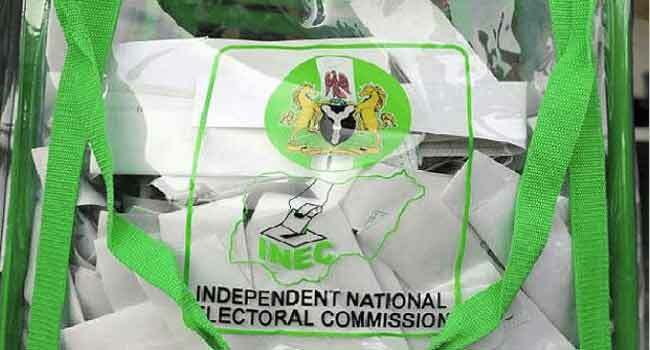 The list dated August 16 was signed by the acting secretary of the commission, Okechukwu Ndeche. 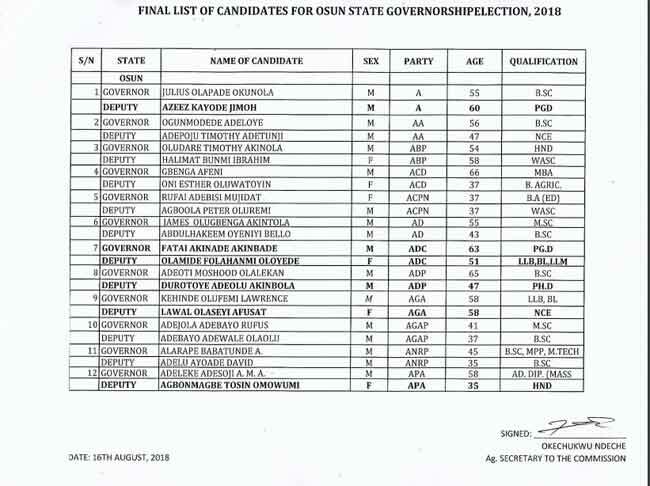 Those on the list include the Chief of Staff to Governor Rauf Aregbesola and All Progressives Congress (APC), Mr Adegboyega Oyetola, as well as Senator Ademola Adeleke of the Peoples Democratic Party (PDP). 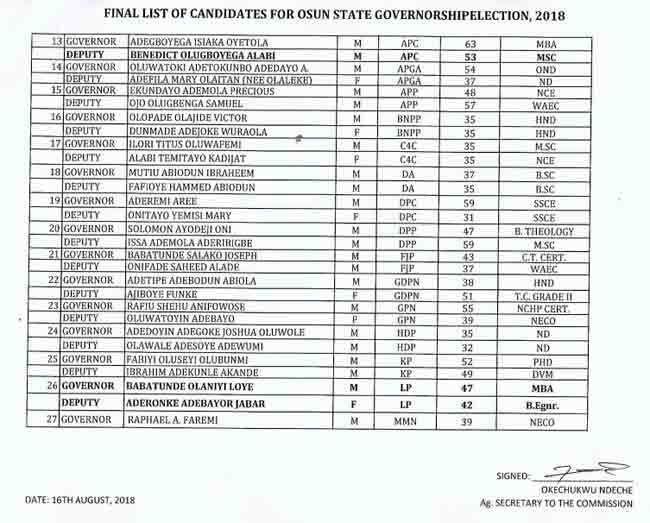 Also on the list are former Deputy Governor Iyiola Omisore of the Social Democratic Party of Nigeria (SDP), as well as the former Secretary to the State Government and Action Democratic Party (ADP) candidate, Adeoti Olalekan, among others. The election is scheduled to take place on September 22.